It’s taken far too long, but an all-new Ford Focus has arrived and we’ve just seen it in the metal here at the 2010 Detroit Auto Show. Complete with a new platform, new engine, some shapely sheetmetal and a host of tech, this new Focus that we’ll finally be sharing with Europe and the rest of the world promises to set a new bar for the small car C-segment. The Focus will initially be available in the U.S. in both four- and five-door hatchback body styles, with a three-door hatch and coupe likely in the works as well. A new 2.0-liter direct-injected four-cylinder engine producing 155 horsepower and 145 lb-ft of torque will be the only engine at launch, but buyers will have a choice between a six-speed manual transmission and Ford’s new six-speed dual-clutch transmission. Ford also confirmed during its press conference this morning that a Focus Electric is due to arrive in 2012, with a hybrid version arriving the next year – both of which will be built in Michigan. For all the details, take a look at Autoblog.com deep dive of the next generation Ford Focus after checking out the shots from the Detroit Auto Show in the gallery above. 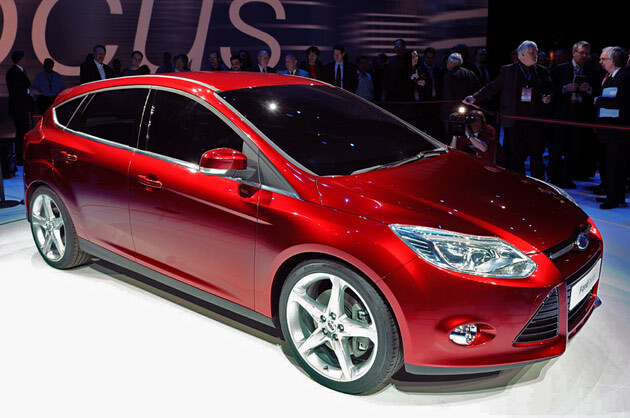 Take a look at the video of the 2011 Ford Focus live reveal.